Are you having trouble reaching your fundraising goals? New to fundraising? Want to learn how to create a more effective and strategic fundraising plan? 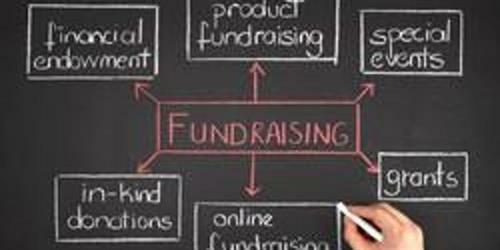 In this workshop you will learn how a fundraising plan helps you to organize all of your fundraising activities over a certain period of time and guides yoru strategic approach to reaching the realistic and attainable goals you set. If you are a nonprofit founder, executive director, board member, nonprofit staff or interested in fundraising, this workshop is for you! Instructor Profile: Michelle Nusum-Smith, a licensed nonprofit consultant, coach and trainer, is owner and principal consultant at The Word Woman LLC, a consultancy that helps nonprofits, government agencies, and individuals to develop the skills, knowledge and resources to achieve their missions to do good. With nearly 20 years of nonprofit experience, Michelle has expertise in organizational development and leadership, board development, program development, financial management, fundraising, marketing, and community relations. She has extensive facilitation experience, including public and private workshops, trainings and retreats. Michelle is licensed to offer consulting services for the Maryland Nonprofit’s Standards for Excellence® program. She has the knowledge, skills and tools necessary to work with nonprofit organizations across the country interested in learning about and implementing the Standards for Excellence code. A graduate of the Honors Program at Coppin State University where she earned a BS in Management Science with a minor in Marketing, Michelle is a member of the Grants Professionals Association, the Association of Fundraising Professionals and Maryland Nonprofits. Pay What You Can This workshop is PAY WHAT YOU CAN, with a $10 seat reservation fee (deposit). This fee helps to cover the cost of training materials and logistics. You will be asked during the session to pay for the training you receive based its value to you.